This section covers small play areas and parks where a limited set of playground equipment is available. County parks are open to all but in some cases reservations may be required. Also to be covered are play areas operated by homeowner associations such as in Reston and Burke Centre. These are open only to members of the homeowners associations. 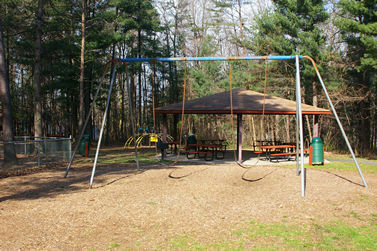 Stratton Woods Park is operated by the Fairfax County Park Authority and is primarily sports oriented but has a small picnic area with play equipment. A large parking lot is available. Click on the picture for a view of the park. 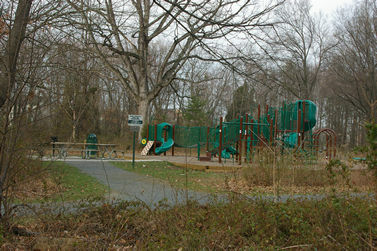 Stuart Road Park is a small park operated by the Fairfax County Park Authority in Reston. It features a picnic area and play equipment and has a small parking area. Click on the picture for a map of the park and pictures of the site. Polo Club Village in Reston has 3 play areas operated by the Reston Association. Click on the picture for a map of the area with links to pictures of the play areas. 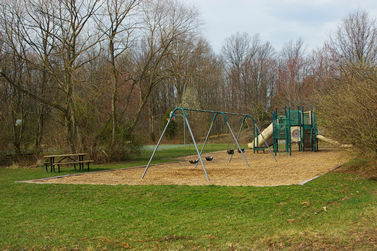 The play areas are only open to members of the Reston Association and their guests. More play areas will be added here as we find time.